Wanda Sykes says she’s parting ways with the “Roseanne” revival after star Roseanne Barr made a racially-charged joke about Valerie Jarrett on Twitter Tuesday. 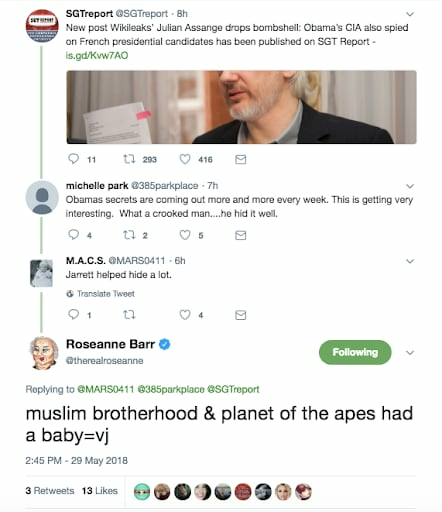 “I will not be returning to @RoseanneOnABC,” the consulting producer on the ABC comedy tweeted, not long after Barr wrote on the social media platform that if the Muslim Brotherhood and the “Planet of the Apes” “had a baby,” it would be Jarrett. Jarrett, who is African American with no ties to the Sunni Muslim organization, was a longtime senior advisor to the Obama White House, and was constantly the subject of criticism by the right-wing. Barr’s since-deleted tweet was met with swift criticism, prompting the actress to say she was sorry to Jarrett and announce she was “leaving Twitter” — again. Barr’s profile has risen dramatically in recent months with the successful reboot of her old program on ABC. 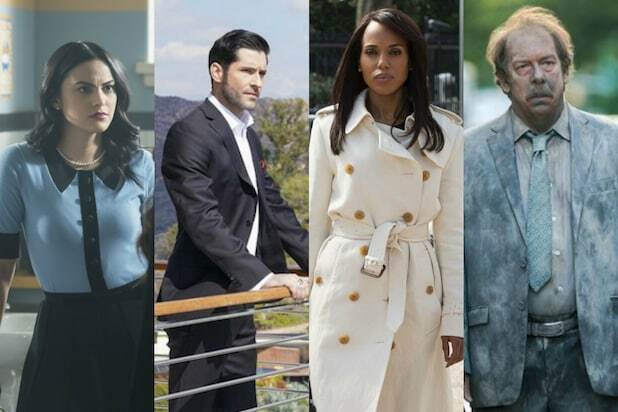 The show has become the biggest ratings star on the Disney-owned broadcaster. It’s hardly the first time the vocally pro-Trump performer has raised eyebrows on Twitter. In addition to Jarrett, Barr was also forced to walk back a tweet accusing Chelsea Clinton of being married to George Soros’ nephew. The former first daughter publicly corrected Barr on Twitter, Tuesday. ABC did not immediately respond to TheWrap’s request for comment on Sykes’ announcement that she was leaving the sitcom or multiple inquiries about Barr’s original tweet. See Sykes tweet — and Barr’s originals — below.